Spartan racing isn’t a bucket-list experience, it’s a lifestyle. Join our Spartan community and save with 4-Event and Full-Season Passes. Hurry though, limited passes are available, and they will sell out! Make the most of your Spartan journey in 2019 with lower prices and benefits unique to Season Pass Holders. We’re giving you a seriously epic deal, and more opportunities to join the Trifecta Tribe by smashing out the Sprint, Super, and Beast in one calendar year! Ready to push yourself to the limits in 2019? 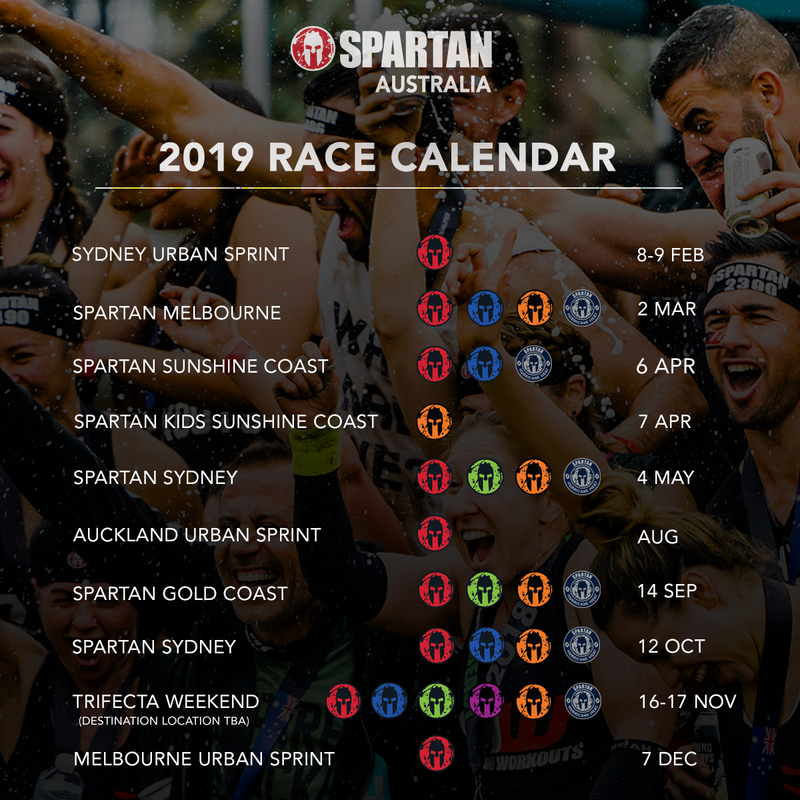 Get your hands on the Full-Season Pass and join the Spartan family at all our epic 2019 locations, including Auckland! The Full-Season Pass is massive value for money; you’ll score up to 29 races for less than 8 Early-Bird tickets! If you’re keen to smash out 4 events of your choice in 2019 with one ticket, grab the 4-Event Pass. This will get you entry into 4 events of your choice and up to 15 races at a much cheaper rate than standard early bird pricing! Check out the full 2019 calendar here. • access to our epic international event in Auckland! 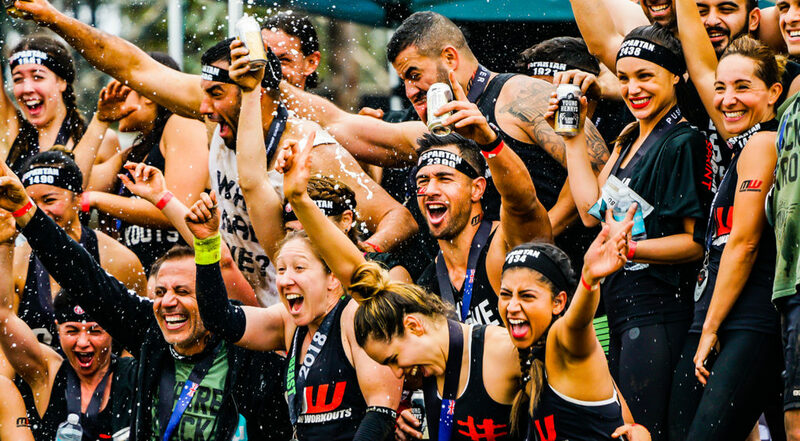 • Elite Full Season Pass – Be the first out on course, and race with the best to push your limits and compete for Spartan glory. • Age Group Full Season Pass – The age group wave goes out immediately after the elite wave. This is for those wanting to compete for age group prizes. Whether you’re a young gun or seasoned campaigner, you’ll be racing for a category placing. • Open Full Season Pass – This allows you to register for all waves in all events, excluding the Elite and the Age Group waves. • Australian Spartan Season Pass holders are required to pay mandatory insurance for each event they choose to register for. If you are an Open Season Pass holder you may upgrade to the Elite wave for an additional $20 per race you wish to upgrade, or $10 for the competitive waves. You will need to contact info@spartanrace.com.au to have your code upgraded for select waves. • You cannot pass on unused races to other participants. Only the registered name can use the Season Pass entry. Multiple laps are available with the Season Pass. However, this does not entitle you to more than ONE medal and ONE shirt on the day of the event. Also, only one lap, per distance, per event is counted towards your Trifecta. • To register for multiple laps on race day you must have your confirmation email and valid photo ID to receive an “unlimited laps” wristband. You can collect this from the Information desk at registration.